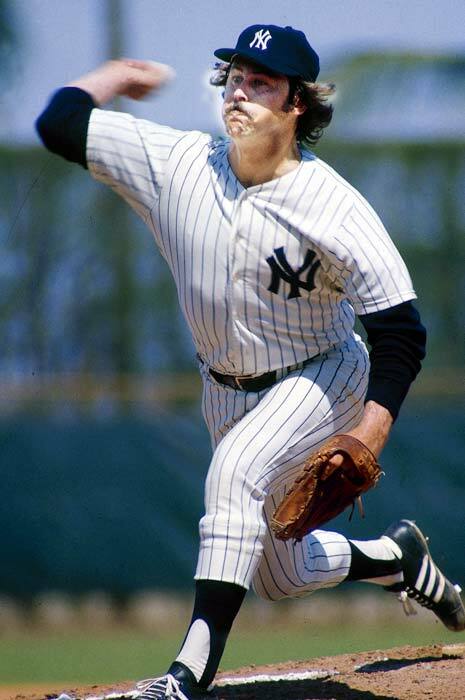 I was very fortunate to grow up as a Nephew of Jim “Catfish” Hunter, one of the greatest pitchers in baseball history. More importantly, he one of the most generous, most down to earth people you would ever meet. He was known to family and friends as “Jimmy”. His teammates would call him “Cat.” If you had met him on the street, you would have never known he was a baseball superstar. He was a ‘country boy” who loved to farm. To give you an example of his love for gardening and farming, Uncle Jimmy came to Seattle when Oakland played the Seattle Pilots. While staying at our home, he asked my Mom about what things they needed done in the yard. Next thing she knew, he was working in the yard like it was his own garden for the entire morning. There was only one problem, he pitched that evening against Seattle and got hit hard. Needless to say, Oakland lost the game. My Dad said he would not allow him to work when he came to visit again. We laugh about it now, but it wasn’t amusing at the time. 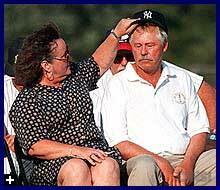 But that was who Jim “Catfish” Hunter was- a generous man who loved family, farming, hunting and then baseball! I was only seven years of age when Jimmy won his first World Series. 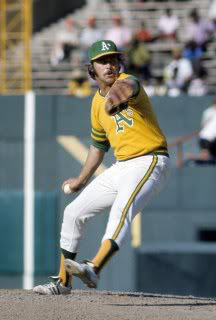 I did not comprehend the impact on the Major League Baseball world he and the Oakland A’s would have. 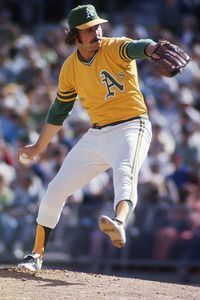 When my family visited Jimmy in Oakland, his son, Todd and I would wear our Oakland A’s uniforms to the games, lunches and dinners. It was a very special for me because I got to spend time Rollie Fingers Gene Tenace, Sal Bando, Ken Holtzman, Paul Lindblad and Reggie Jackson. After “Catfish” won his third consecutive World Series, our family visited their home in Hertford, North Carolina. I was in awe looking at his World Series Trophies and his World Series rings. The rings were hanging on the antlers of a deer that was mounted on the wall above his fireplace. My Aunt Helen took them down and let me try them on. They literally would not even fit my on my thumb. The man had enormous hands! We were visiting the Hunter family in 1975 when Jimmy turned the sports world upside down and started free agency in baseball. Following a contract dispute with Charley Finley, the owner of the Oakland A’s, Jimmy signed a four year, 3.75 million dollar contract with the New York Yankees. He went on to win two more World Championships with the Yankees. During this time, I was now old enough to begin understand the gravity of what this man had accomplished and how beloved he was with his teammates. I collected his cards, balls, helmets, bats, posters, magazines throughout my adolescence. When I got married and we built our home, we created a memorabilia for it all. 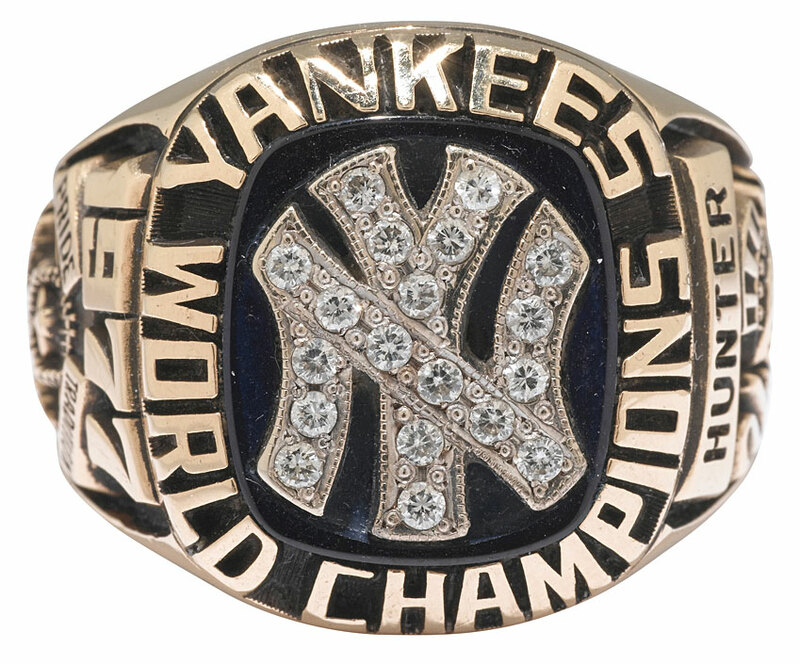 Reflecting on these memories with my children and sharing the amazing stories about Jim “Catfish” Hunter and how his life left an indelible mark on my life is something I can never repay. When we found out Jimmy had ALS, to be honest I knew nothing about the disease. But I quickly found out what it would do to a fine tuned, precision athlete. Jimmy lost the use of both arms in the beginning and then it quickly ended the life of one the finest people you would ever meet. We are honored to have the opportunity with our company to join his family, my Aunt Helen, Cousins, Todd, Paul and Kimberly, in the fight against ALS. Also known as Lou Gehrigs Disease, ALS is one of the most horrible diseases that can strike our families. 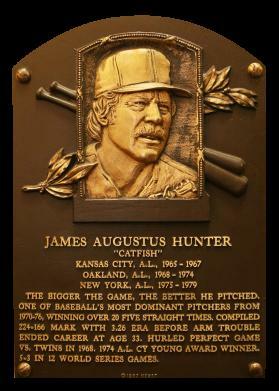 We ask for your support through our Jim “Catfish” Hunter ALS Foundation which supports those afflicted with the disease.